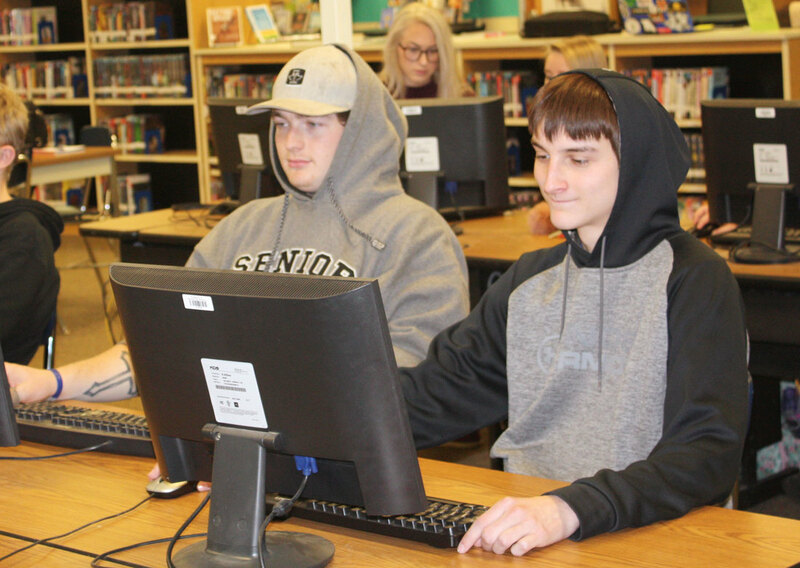 Hunter Lentz and Dyllon Fortney used web design skills they learned in an English class to create website for Stone County Treatment Courts. “We wanted to help change the image of drug court,” they said. This year, Galena High School has a special class that goes against the way most ‘standard’ classes are taught in area schools. Ryan Lacson’s public health class emphasizes more than just the science credit the students earn for their transcript. Walking into the class, students great visitors and their teacher with eye contact and a hand shake. Most of the students said that emphasis on soft skills definitely took some getting used to. Soft skills are interpersonal skills that can be contrasted with so-called hard skills such as calculus or chemistry. This emphasis on skills has not detracted from the important education going on in the class. Units in the course so far have covered the opioid epidemic and infectious disease. Because this is a public health class, Lacson focused these units, and upcoming units in the course, on how those topics impact the Galena area and Stone County at large. The class participated in the Galena-Abesville Elementary Health Fair as part of the infectious disease unit. But the impact of these 16 students has extended well beyond the walls of the schools. Two groups of students have already featured on local radio stations, discussing both infectious diseases and the opioid epidemic. Earlier this year, the class was awarded $2,880 in grant money from the Table Rock Lake Community Foundation to use toward whatever the class needs to further its goals. Some of that money has been used to print posters that were displayed at the high school and elementary school. Other money will help students like Sadie Dickens and Paige Dinger print the brochure they are designing for WIC. Dickens and Dinger designed a brochure highlighting issues new mothers and pregnant women can face if they become addicted to opioids. “We want to let them know what can happen to their baby if they are addicted to opioids when they get pregnant,” said Dinger. All of these major projects undertaken by groups in the class have been student led, says Lacson. “We go over the material together, but when it comes to these projects, I’m more of an advisor than anything else,” he said. On the day the Chronicle visited with the class, the students were putting the final touches on their projects. “The best part is, it’s not me. What have I been doing today, you know? They’ve been working, it’s completely student driven,” he said. The students pointed to that trust and the emphasis on soft skills leading to the success of the class. “When we first came into this class, we sort of knew everyone already, but it turns out we didn’t,” said one student. “On the first day of class, he [Lacson] told us to sit down and look one of the other people in the eye for 15 seconds and make conversation. It was weird and awkward. But it’s not any more,” said another. “In this class, we have more freedom to do what we want to do. None of our projects are the same. Just having that freedom to be able to do what we want to do and innovate and be trusted,” one student said. The class has come together to learn and spread awareness in the two units so far. “It was the class’s idea to work together and take over the elementary school health fair. But then, on these projects, everyone is doing their own thing,” Lacson said. Other final projects include students attempting to bring educational groups into area schools to teach kids about the dangers of opioids and how to keep from falling into addiction; making changes to the DARE program to bring it more in line with scientifically backed methods of prevention; and educate others on how easy it can be to become addicted after being prescribed opioids by a doctor. One student seemed to anticipate the next unit in the course, which will cover mental health issues in Stone County and in teenagers. “I’m making posters that show the connection between drug use and mental health issues,” said Clarrah Leigh-Deux, a junior in the class. 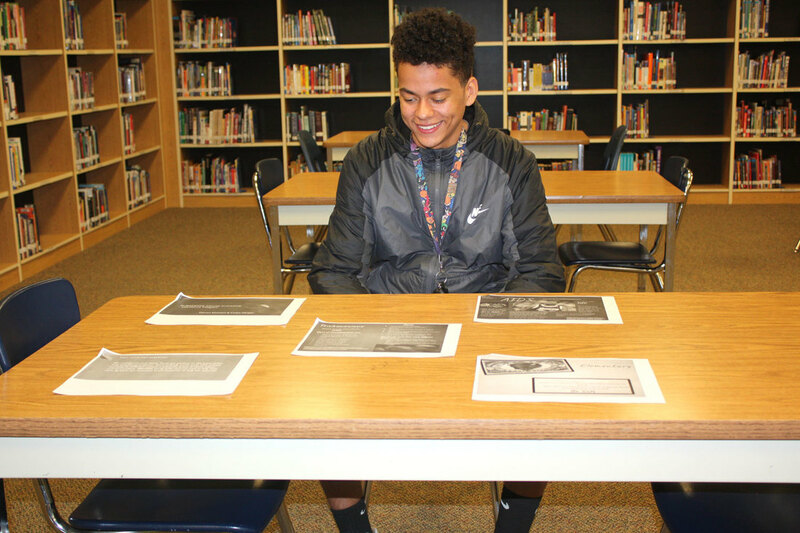 GHS junior Davon Stewart explains his end of semester project. 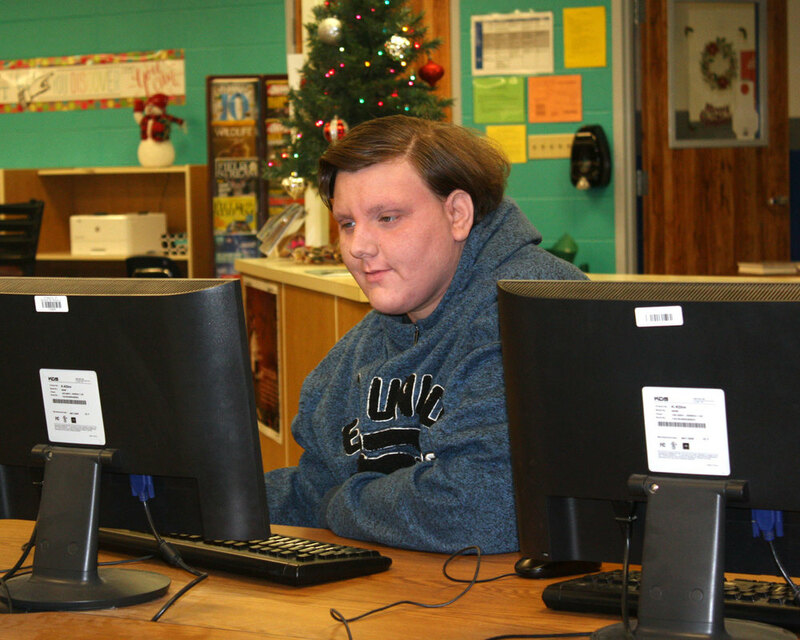 Junior Cullen Barrett works on his project, which covers misconceptions about substance abuse. 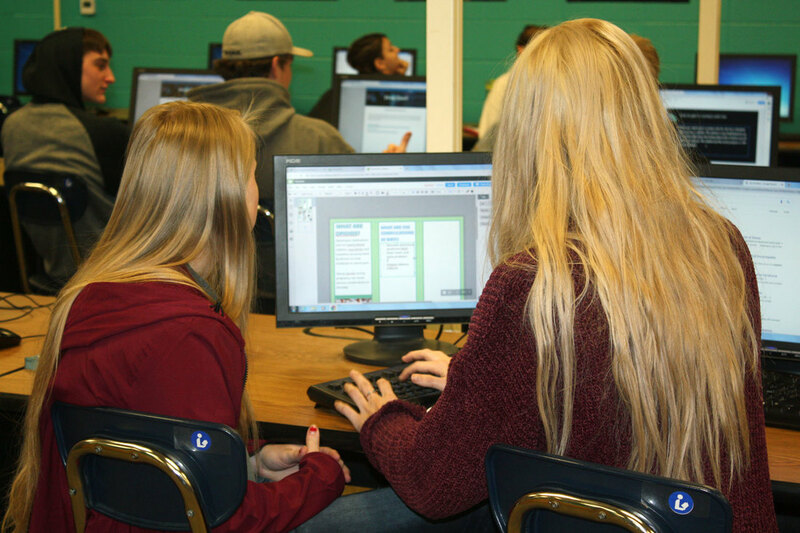 Galena High School seniors Paige Dinger and Sadie Dickens work on a brochure they hope to distribute through WIC offices in Stone County. Their semester final project seeks to highlight the issues and problems that the opioid crisis can cause new mothers and infants. Students in Mr. Lacson’s Public Health class picked their own issues to highlight what they learned in the unit, while also practicing soft-skills like shaking hands and reaching out into the public at-large. ​Note: Select any image to view full size without the caption overlay.